Our staff are regularly called upon to provide advice to UK and overseas government departments, including the Home Office, US Department of Justice and the FBI. You can tailor the course to your own interests with an impressive choice of 12 optional modules as you progress into your final year. we achieved 90% overall satisfaction in NSS 2018, with 85% agreeing that the teaching on the course is satisfactory. The study of criminology offers an insight into the complicated nature of crime and its effects on society. Our undergraduate and postgraduate Criminology courses enable you to investigate the causes of crime, criminality and the role of criminal justice. You will explore the reasons and the motivations for crime and the resources and structures that society has in place to combat it - including how crime is dealt with, controlled and punished. With a team of highly regarded experts leading the course, who are trusted by and regularly called upon by law enforcement agencies to share their experience, you will have an excellent grounding in the world of Criminology. Crime often makes the news – and UEL experts regularly appear on television, radio and in the press to give opinion and analysis. We put this expertise to good use on our courses, where you’ll gain stimulating insights into high-profile issues. From our ultra-modern teaching hub in University Square Stratford, you’ll be ideally placed to take advantage of the many crime-related debates, meetings and conferences in London. We encourage you to get involved with local voluntary sector groups and gain valuable work experience. Our criminology department has excellent relationships with government departments and international bodies, including the Cabinet Office, Ministry of Justice and United Nations Roster of Terrorism Experts. Perhaps that’s why an impressive 90% of our students were satisfied with their Criminology course in the 2017 National Student Survey. It was fantastic - a really good course. My degree was essential in helping me to get a full-time job with the Met and I’d encourage anyone to volunteer in the community early on as it really backs up your theoretical learning. We adopt a fresh and innovative approach to criminology at UEL, drawing together different disciplines – from law to psychology – to tackle major, topical issues. Our team includes world-renowned experts and researchers in areas such as terrorism, gang crime, organised crime, youth justice, victim support and race, ethnicity and crime. The staff have links with major policing and crime institutions across the world, including the United Nations and the Ministry of Justice, where direct experience of tackling crime on an international scale has given them the skills and expertise to make a real difference. Dr Anthony Gunter, for example, has worked for ten years as a community and youth worker in east London, and researches gangs and gang culture. He’s the author of Growing up Bad. All of our researchers bring their work into the lecture theatre and seminar room, so you can be sure you’ll have access to the most up-to-date thinking in this fascinating field. We have a strong reputation for teaching and research in criminology and everything we teach you is rooted in contemporary, practical application. We’re linked with leading organisations across the country and provide you with valuable up-to-the-minute insight that’s valued in the industry. Studying criminology will put you on the path to a range of careers across the criminal justice sector and related fields. Graduates go on to work in the police, probation, social services, prisons, private security, community organisations, local government, charities, civil service, think tanks, journalism and academia. You’ll also develop highly sought-after transferable skills – including research, essay-writing, teamwork and communication – that will be attractive to employers in any field. 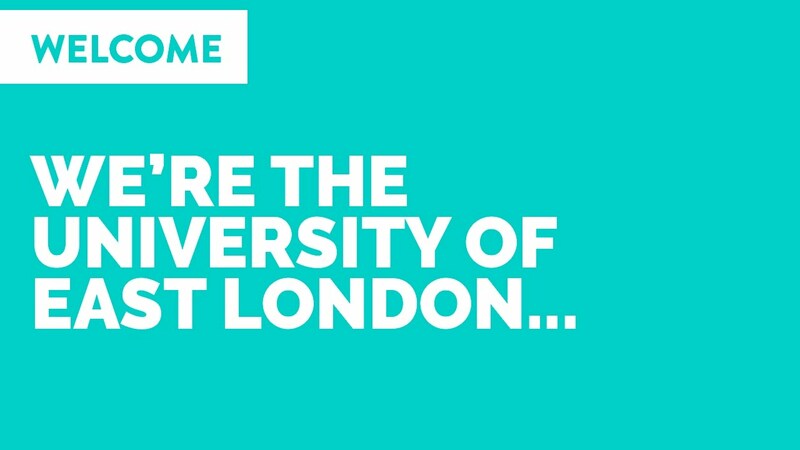 We have a superb employability team at UEL that works with students to find placements, projects, graduate schemes and full-time employment, combining careers advice with practical training in interview technique and CV writing.